Nicky Hilton was photographed wearing Nicky Hilton x Tolani in New York City yesterday. 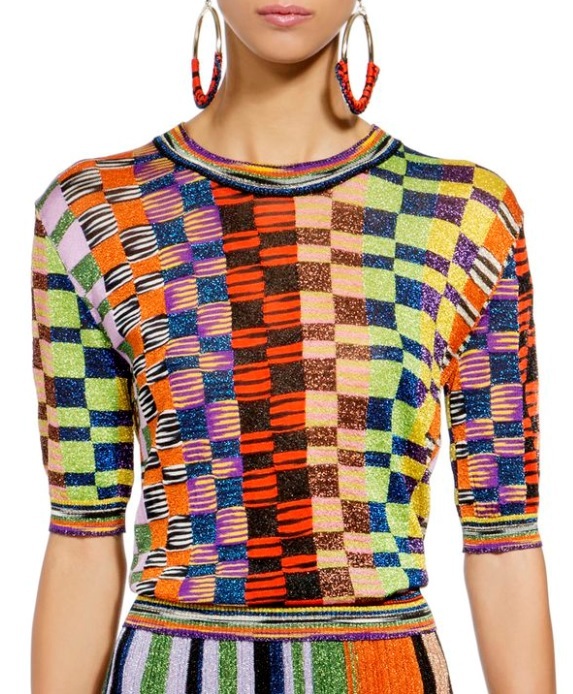 The socialite took a stroll in the Bijou Multi Top, a piece from her Nicky Hilton x Tolani capsule collection just launched last week ($213, www.tolanicollection.com). Is off the shoulder the way to go this season? Wear it over another top or on its own. Subtle, yet it is screaming the appearance of high-end, quality, and luxury. 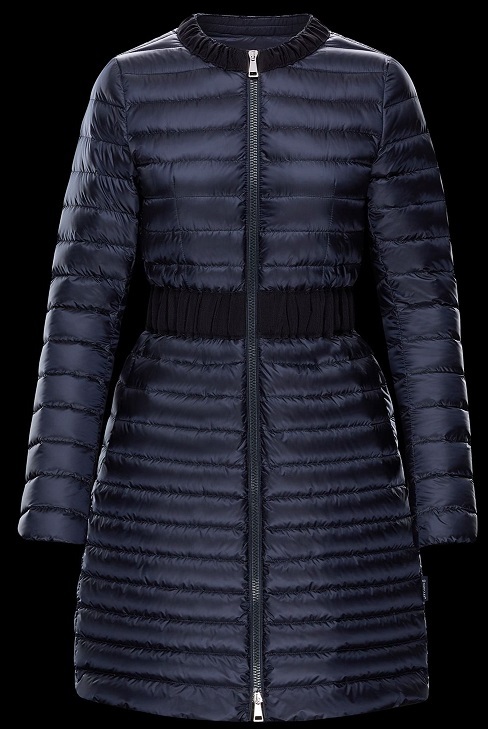 We especially enjoy the Moncler Hodenite. 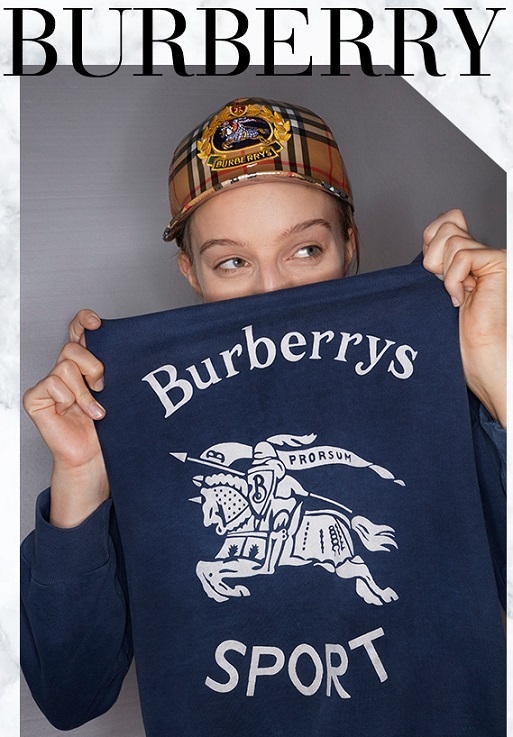 Learn more about the Moncler brand for women here on Apparel Search. 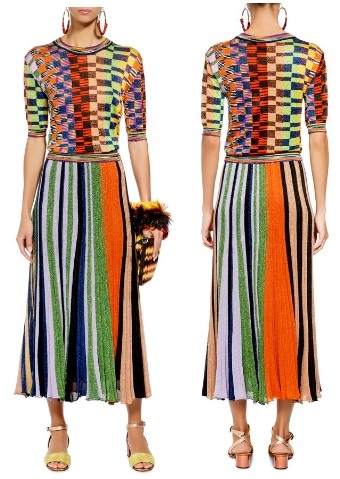 Yummy fashion colors & stripes from the Missoni fashion brand. Sun hats and beauty products. Stay out of the sun and maybe you won't need as many beauty products. International gym apparel label, Ryderwear, is excited to announce the launch of it's newest activewear line, the Infinity Seamless Collection. Sleek, flattering, and functional, this cutting-edge collection is here to transform your wardrobe and your workout with its innovative performance wear technology. Featuring non-restrictive flexibility, reduced friction, targeted ventilation, and long-term durability, these styles will inject comfort and freedom into every workout. Every woman wants to look sharp at work. This is because your appearance and attire can speak volumes about your inner personality. A polished, pristine and well-kept look defines good organizational and time management skills. On the other hand, an outfit thrown together at the last minute can come across as disorderly and even sloppy. The Levi's brand Altered Collection gets an update this season with raw hems, custom‑inspired distressing and our favorite detail: zippers. 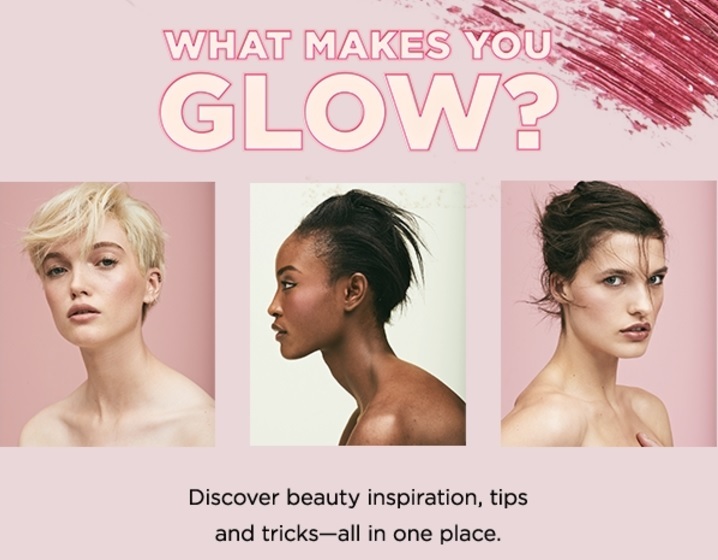 Step one, where to find the tips & tricks to maintaining a beautiful glow. Do you want to know the secret? 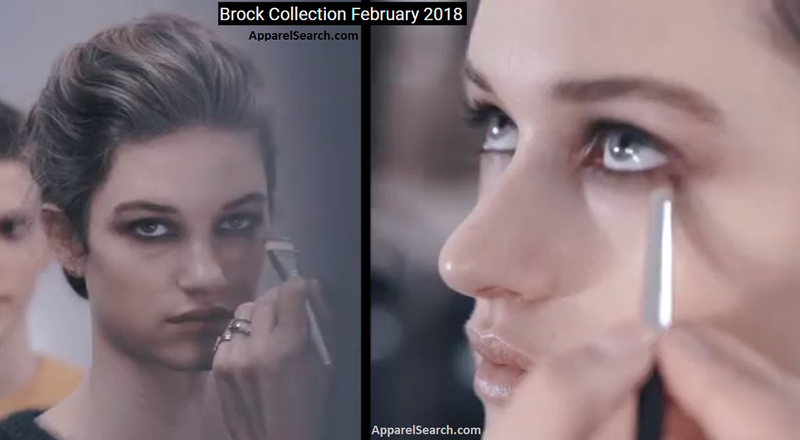 We suggest you visit the Saks Fifth Avenue and look for the Beauty Spring 2018 catalog. 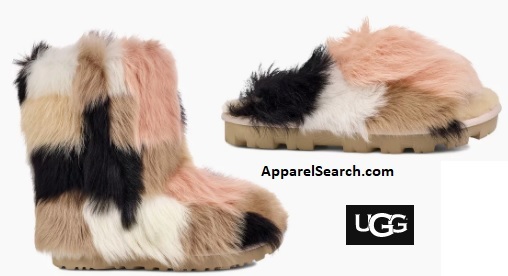 Introducing the collection of Shag It Crazy shoes from the Fashion Baby collection. Multicolored fluff delivers a glamorous, rock-and-roll statement in these Sunset Boulevard-inspired. Visit the London Fashion Week website to see the full event schedule and learn about the various fashion designers on display at this seasons runway shows. 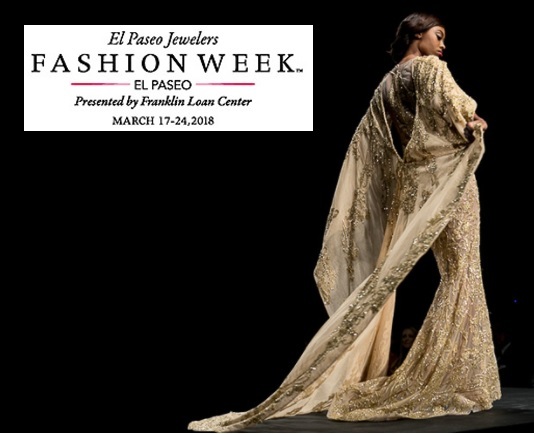 Make plans to combine the glitz and glamour of Fashion Week El Paseo with a desert dreamland vacation. Kendrick Lamar wore daniel patrick in the newly released music video for "King's Dead," a track from the Black Panther soundtrack. 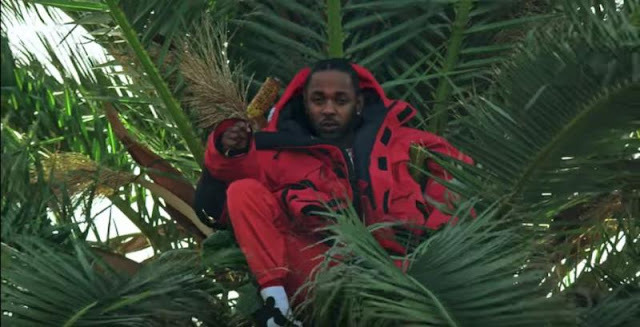 The rapper went for a monochrome look and paired a red puffer jacket with the daniel patrick parachute track pant / red + black ($350, www.danielpatrick.us). Migos celebrated MIGOS BY SAINT LUIS, a limited-edition capsule collection powered by Bravado yesterday at RSVP Gallery in LA. The trio rocked pieces from the collection designed by Patrick Matamoros, former founder of Chapel NYC and vintage t-shirt dealer to the stars. 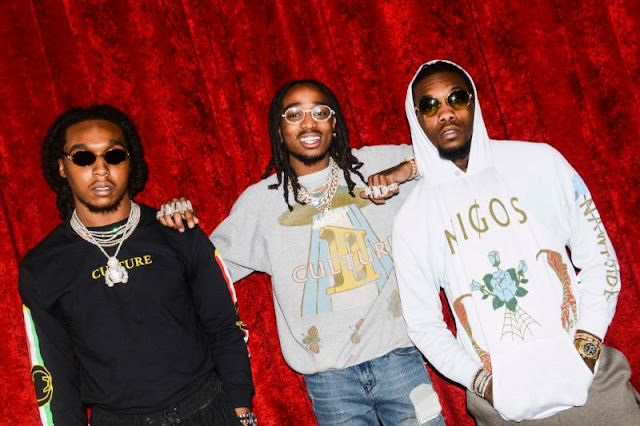 Takeoff, Quavo and Offset were decked out in the hybrid 'designer-vintage' capsule that encompasses all the luxury of CULTURE II with a hint of rock n' roll. Exclusively available at the new RSVP Gallery location in Los Angeles, the apparel capsule collection is printed on premium vintage blanks, tie-dyes and specially washed fabrics. Prices range from $100 - $500. Valentines Day was two days ago but the spirit of Valentines Day never has to be over. Lingerie from La Perla is perfect for Valentines Day and beyond. Apparel Search would like to introduce you to the bra nobody will be tossing on International Women's Day, Coobie Seamless Bras! It's hands down one of the most comfortable bras ever worn. When you think about it, your bras are some of the most worn items in your wardrobe. If you’re going to spend that much time wearing anything, it darned well better be comfortable! That’s part of the beauty of the Coobie Seamless Bra – a bra so insanely comfy you’ll never want to take it off. Women's ready-to-wear brand, Tolani launched an exclusive mommy + me capsule collection today with long-time fan Nicky Hilton. Hilton is best known as an American fashion designer, socialite, philanthropist, and mother. She is spotted wearing Tolani often. "I've been wearing Tolani for years," said Hilton. 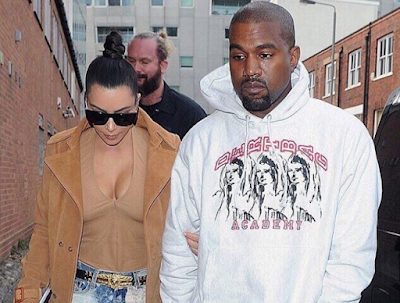 "I'm a huge fan of the brand. I love all their bohemian designs - it's stylish, it's comfortable and cool. Whenever I travel my suitcase is full of Tolani pieces." 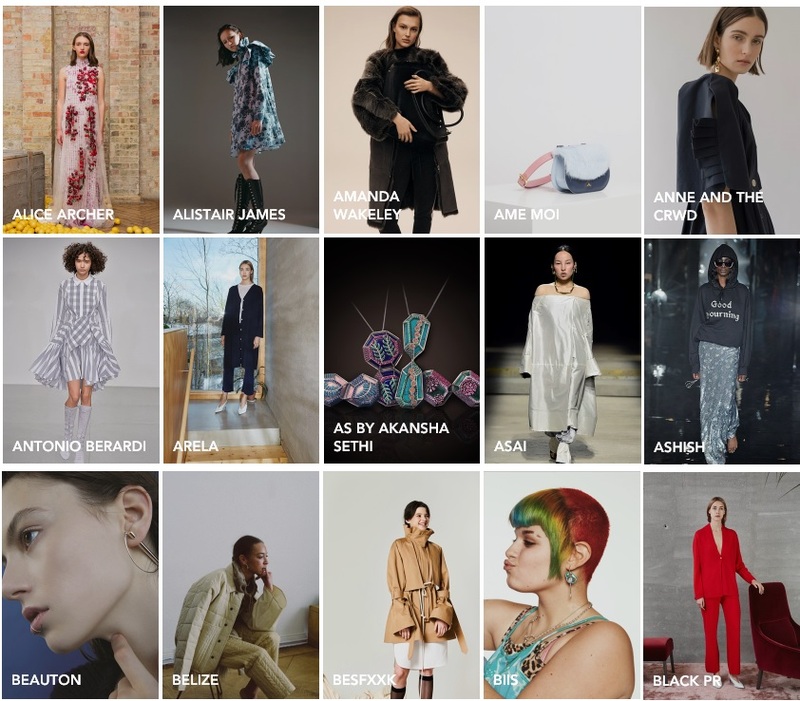 Founder and designer of the culturally-inspired fashion, Alka Tolani says, "Nicky has always been an inspiration for Tolani, a globally-cultured brand. She knows how to perfectly mix colors and prints while remaining chic and elegant. 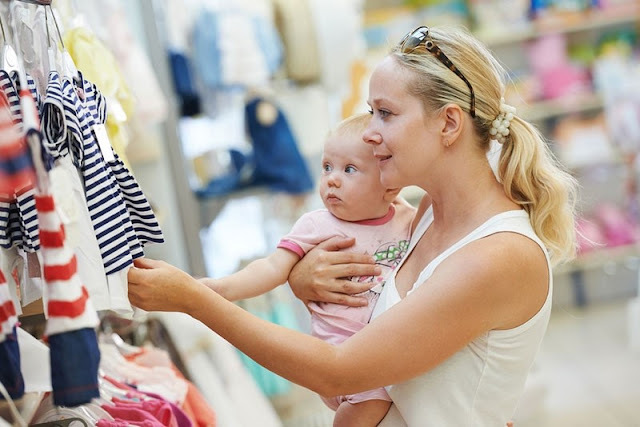 Recently, with the birth of her second daughter Teddy, we now see her juggling mommyhood with this same grace; the idea of a matching 'mommy and me' collection made sense." Hilton was equally excited to work on this capsule. 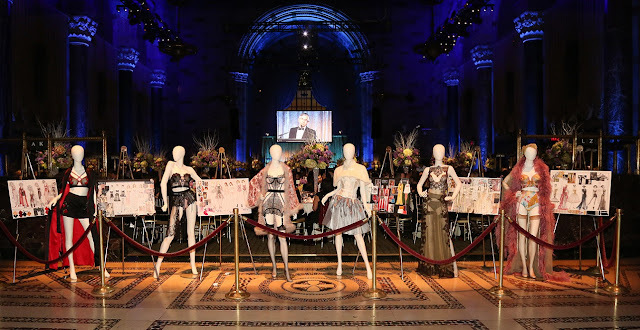 "This collection is very special to me because it's a way for me to connect with my daughters through fashion." 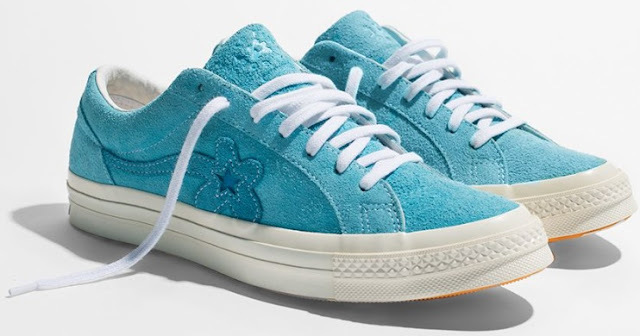 Fall 2018 season summer fashions are sweet for boys and girls, from cool patterns to pastels hues to unique pieces that are making come back. Designers have paid special attention to kids fashion 2018, combining practically and convenience with the latest fashion trends. Ju-Ju-Be International, a leading lifestyle brand in the juvenile products industry and provider of premium diaper bags, backpacks, and accessories is pleased to announce a growth investment from Bregal Partners, a leading middle-market private equity firm. The investment was made in partnership with the company’s founders, Joe Croft and Kristin Hunziker, who remain significant shareholders in the business. Although sun, sand, and laying by the poolside make for a perfect summer day, they also make a dry, tangled, mess out of your hair. When your hair becomes wet with chlorinated or salt water, it becomes stripped of its natural lubricants so that by the time August rolls around, your hair will be completely dehydrated! That is why Purifying Scalp and Hair Toner, ESSENTIAL RINSE is an essential product for your hair this summer. 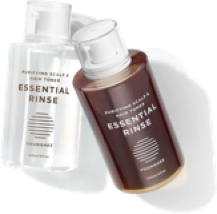 ESSENTIAL RINSE will revitalize your hair as you shower to make what you already have-better. Made with 100% natural ingredients, ESSENTIAL RINSE is formulated to purify your hair by removing the chlorine, salt, and any other residue your hair may grab onto, making it safe and effective. Great to use as a post-swim rinse, ESSENTIAL RINSE Apple Cider formula has a lower pH which will clarify and purify your hair instantly. Not to mention, it is very easy to use! After cleansing your hair with shampoo, massage the product into your wet hair and scalp distributing the product evenly with your fingers before rinsing thoroughly with water. Dessert on your Body with Launch of Garden and Body Collection by Camille Rose! Camille’s Garden Beauty Bars are hand-crafted using the mildest and most natural healing ingredients to help restore, refresh, and rejuvenate! Your complexion will be flawless! 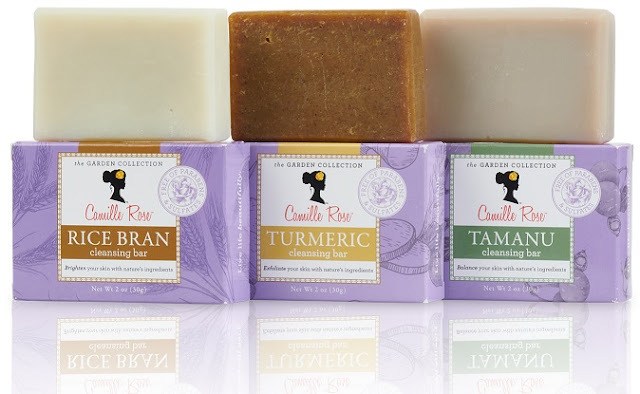 Camille Rose’s Turmeric Cleansing Bar creates healthy glowing skin by revitalizing and smoothing uneven skin tones. Camille Rose’s Rice Bran Cleansing Bar removed dirt and dead skin cells, while preventing bruises and blackheads. Camille Roses Tamanu Cleansing Bar can be used to gently exfoliate the skin and scalp to help strengthen hair follicles and maintain a radiant complexion year round. FEMMY Awards 2018 hosted by Dita Von Teese went beautifully. Essentially as fabulous as the student fashion which was on display. 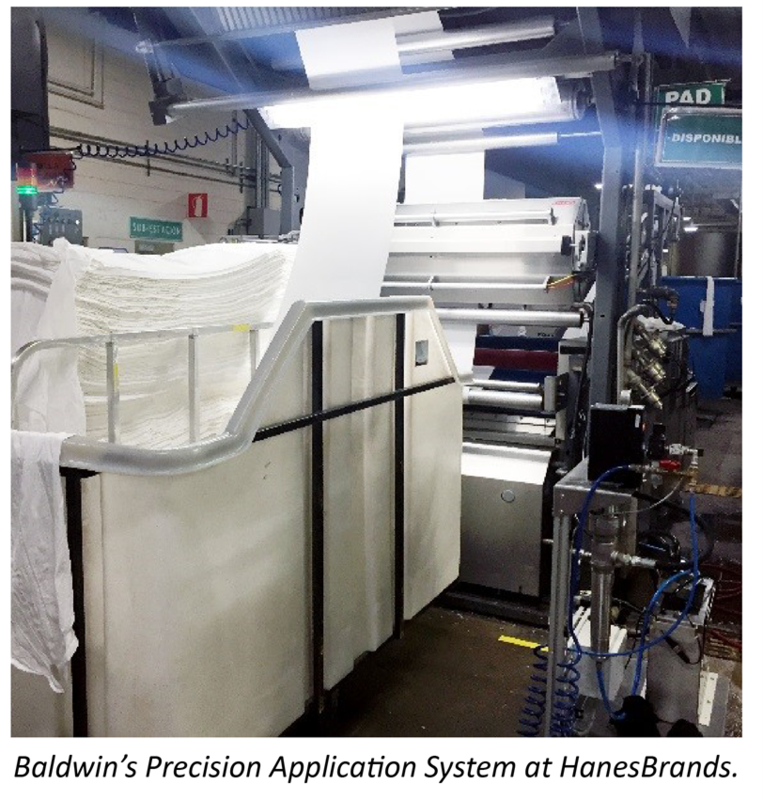 Baldwin Technology Company Inc.’s exclusive and innovative Precision Application System—which realizes substantial savings of water, chemistry and energy while increasing productivity—was designed with companies like HanesBrands in mind. HanesBrands—whose venerable apparel lines include Hanes, Champion, Playtex, Bali and Maidenform, to name a few—has set significant environmental stewardship goals to reduce energy consumption and water use. 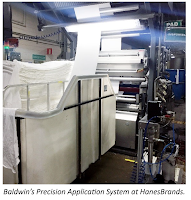 The company’s recent investment in Baldwin’s Precision Application Systems, with a textile finishing technology that allows for accurate and controlled placement and therefore, reduced use of end-of-line chemicals and water, will help HanesBrands achieve its environmental sustainability goals. Additionally, Baldwin’s groundbreaking application system improves output through greater flexibility, fewer production steps and increased uptime. Small businesses, retailers, manufacturers and designers across the United States and Latin America will get a boost for the summer when the Apparel Textile Sourcing Miami (ATS-M) trade show– a one-of-a-kind event– expands to Miami in May. A comprehensive trade show and conference, ATS-M will take place May 21-23, 2018, at the Mana Wynwood Convention Center in Miami. The event will bring to Florida hundreds of international apparel and textile manufacturers from China, India, Bangladesh, the U.S., Turkey, Pakistan, Mexico and many other countries and territories from across Central and South America and all around the globe. 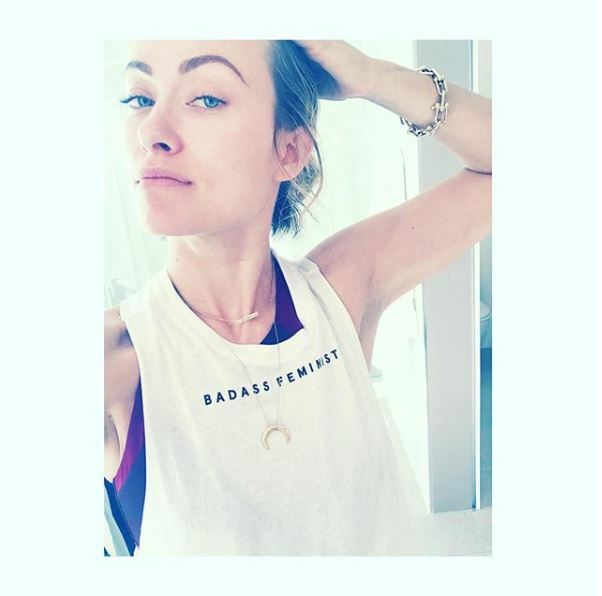 Olivia Wilde shared a photo wearing MY SISTER yesterday on Instagram. The outspoken actress and producer posed for a photo wearing MY SISTER's Badass Feminist White Crop Tank (34; www.mysister.org). 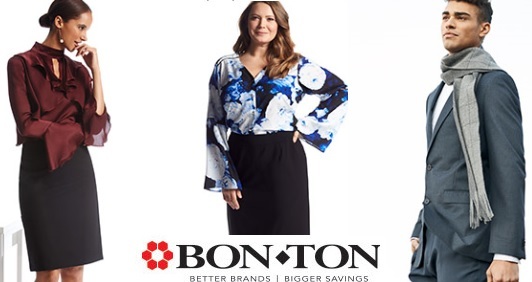 The Bon-Ton Stores, Inc. announced on February 4, 2018 that the Company and its subsidiaries have filed voluntary petitions for a court-supervised financial restructuring under Chapter 11 of the United States Bankruptcy Code in the U.S. Bankruptcy Court for the District of Delaware. The Company is currently engaged in constructive discussions with potential investors and its debtholders regarding the terms of a financial restructuring plan. Bon-Ton intends to use this court-supervised process to explore potential strategic alternatives to maximize value for the benefit of its stakeholders, which may include a sale of the Company or certain of its assets as part of the plan of reorganization. FRYE has taken this timeless booties, with its country flair and given it a slightly more updated urban twist. You can't go wrong with the fantastic smooth handworked Italian oiled suede or the classic lines. Round toe, elasticated gores at sides and low block heel with a Goodyear welted construction. From the Made in the USA collection. Learn more about this amazing booty and other fine footwear for women at the FRYE website. This beauty of a booty is style # 77037. Spring Summer 2018 Fashion Collection from Emilio Pucci is a stunning collection. 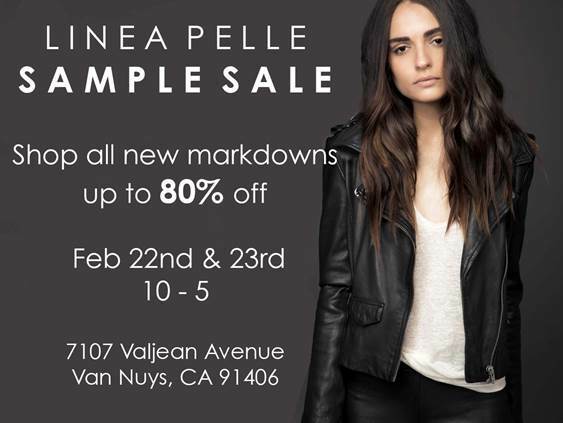 Reminder - Alert - Reminder - Don't forget! It is important to not forget that Coach is more than just handbags. Pictured above: Western-inspired details give this aviator vest a customized feel. 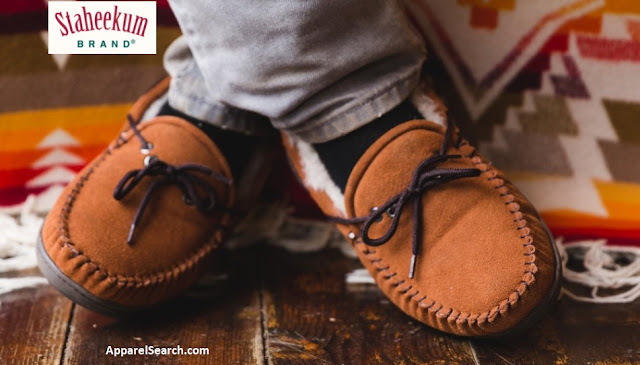 Crafted in plush, semi-curly shearling with leather finishes, it’s detailed with handmade leather tassels and cutout stars fastened with metal rivets. Shop at Coach for women's fashion or handbags. See more about this brand here on the Fashion Blog by searching Coach blog posts. Found the perfect dress for Jessica Chastain to wear when she wins her Oscar for Molly's Game. MOLLY'S GAME is the true story of Molly Bloom a beautiful, young, Olympic-class skier who ran the world's most exclusive high-stakes poker game for a decade before being arrested in the middle of the night by FBI agents. Yes, poker is played with playing cards. Yes, those are playing cards on the dress. Correct, these playful outfits are designed by Dolce & Gabbana. 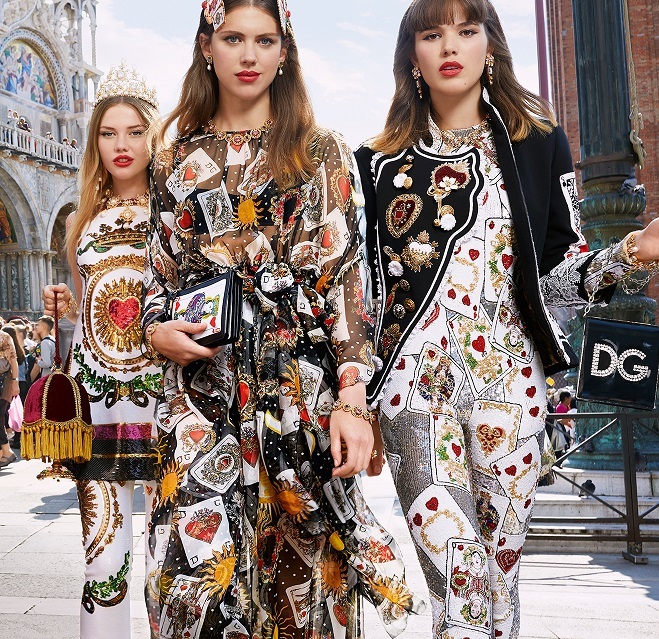 Learn more about the Dolce&Gabbana women's fashion brand.